1. 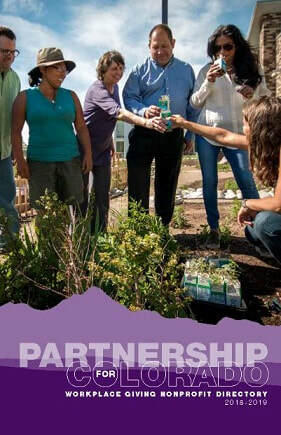 Distribute a Partnership for Colorado pledge form and brochure to each employee. 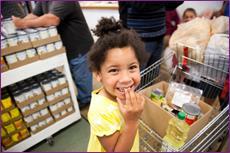 If your workplace offers other giving choices, distribute PFC materials simultaneously with other appeals. Most employers run their campaign between Labor Day and Thanksgiving. 2. Increase awareness of your employee giving campaign and promote informed giving. Gather interested employees for a 5-minute presentation from Partnership for Colorado. PFC staff and volunteers are available at any time. Though not required, a personal appeal gives employees a better understanding of their giving options and a chance to ask questions. This may be done jointly with other workplace charities. 3. Upon the close of your campaign period, collect all employee pledge forms and return the Partnership for Colorado copies and any check and cash donations. We will provide all support necessary to make your campaign run easily and effectively. Our staff is available to assist in filling out the campaign summary, help review and tally pledge forms and input information in Excel format. 4. Transmit payroll deduction contributions to Partnership for Colorado on a monthly, bi-monthly or quarterly basis. We track all agency designations and distribute funds to our member agencies accordingly. Find out what $1 a day can do.